This project was awesome! We printed a large format perforated vinyl to be installed on the rear window of the company vehicle. 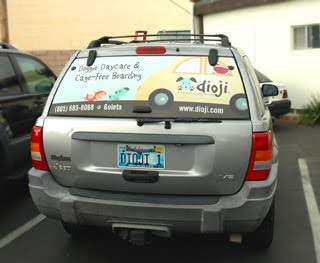 We also printed matching vehicle magnets, to go on the sides of the branded car. We are the number one place in Santa Barbara for vehicle graphics, and look forward to hearing from you about your project!